Heads up, it’s almost Easter. We at Autism Enabled bring for you a wide range of healthy products at attractive prices and offers. Also get ready to avail the benefit of 10% Off on every purchase. Use Code: AMFSO. Check out our collection of toys designed to inspire and excite the sensory skills of the little ones. These are innovative, aesthetically pleasing and tingle the senses. Available at super discounts! Save up to 40% on different types of seatings for youngsters. Ergonomic wedges, pillows and positioning systems for those with limited ROM, neurological impairment and motor dysfunctions. 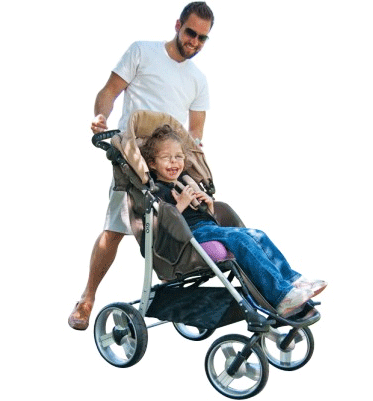 High quality pediatric strollers at huge discounts. These are specially designed, user-friendly and easy to transport. Include safety features and move easily over all terrain types. Save upto 50%! Welcome to Autism Enabled… a one-stop shopping experience for all your autism needs! Autism Enabled is a niche store designed to give you a wide range of multi-sensory products for autism that will help you understand and cope with the needs of an autistic individual. With over a decade of experience in this field, we at Autism Enabled understand the challenges you face every day caring for an autistic family member. Our mission is to make life easier for you and for all those looking for an autism-specific product line. Be it a parent or a teacher… your search for an apt adaptive equipment is sure to end here. Go to what you want or simply scan our selection. You never know… something you never knew existed that may be the solution to an everyday challenge, will catch your eye as you browse our extensive selection of autism specific products. Your journey through Autism Enabled promises to be fun and exciting. The selection here is unique, product range pleasing and the pricing smart. At Autism Enabled we understand the significance of our products in those precious lives and therefore, have ensured the best. Starting from assistive technology products, through to calming and weighted supplies right up to the appropriate furniture. You will love our assistive technology section which has imaginative and innovative items. These include adapted electronics, sensory switches, mounting products as well as speech and communication devices which are extremely useful. Our teaching aids are smartly designed and effective. All items are from leading manufacturers like Ablenet, Enabling Devices, Kinesis, Infogrip and more. 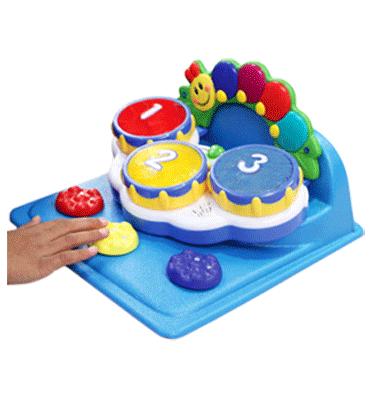 Discover the fun of sensory motor stimulation through our visual, tactile and auditory stimulation items. Top brands like CanDo, Listening First, Achieva, Gonge and Hearing Safe are featured here. The therapy mirrors strive to increase self-esteem, confidence and social interaction while the bead chains are said to help improve auditory, visual and tactile awareness. Our fine motor skills plus gross motor skills items assist co-ordination between the brain, nervous system and muscles. The autism therapy toys from Melissa & Doug, Enabling Devices, Ablenet, Children’s Factory, etc., are designed to improve concentration. Games for autistic children - particularly toys for autistic toddlers plus fidget toys – are popular and help reduce anxiety and stress. Focus on coordination can be achieved through the vestibular swings from Haley’s Joy, Patterson Medical, Fabrication Enterprises and Playaway Toy Company. We also have specially-designed furniture and mobility aids developed to help the parent cope successfully on a day-to-day basis. Even our seating aids section has an amazing array of items created to encourage children to sit down to some activity or for social interaction. And the positioning section has some interesting and colourful positioning wedges, mats and more from Special Tomato, Tumble Forms, etc. Autistic children tend to get stressed easily and their anxiety levels can rise without a warning. Keeping them calm all the time is essential. At Autism Enabled you will find a wide range of calming weighted supplies from Somatron Corp, Skil Care and Sommerfly. 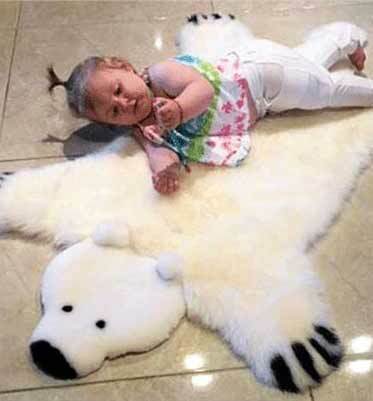 These are created to have a soothing effect on the little ones. Swinging is important for children in order to regulate their sensory systems and encourage vestibular stimulation. You can find different types of therapy swings in our store. However, all autistic children may not react positively to swinging. At Autism Enabled you are sure to come across something you have been waiting for a long time to get your hands on for your special needs child. The possibilities are endless, the variety exciting. All you need to do is spend a few minutes in our user-friendly, fun store.